Conveniently holds your iPod nano securely around your neck. No more digging in pockets, bags or purses to find your device. Allows you easy access to video, music, etc. when your are on-the-go. Secure, adjustable lanyard provides you with a personalized fit. Removable clip allows for a quick and easy detachment of the lanyard. The Neklit for iPod nano™ by Clingo is designed to conveniently and securely hold an iPod nano around your neck and provides you with easy access to your music and the video camera. The necklit keeps your nano close at hand so you are always ready to capture another priceless moment on video. 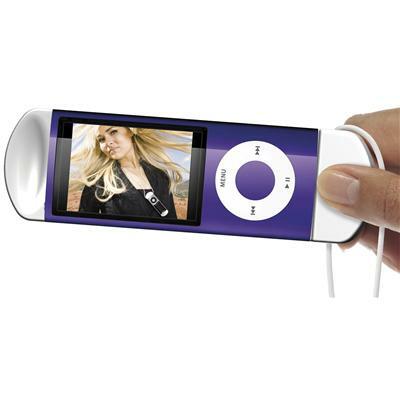 It is designed specifically to fit the iPod nano to give you a comfortable grip when making your next YouTube™ hit or choosing your next song to play. 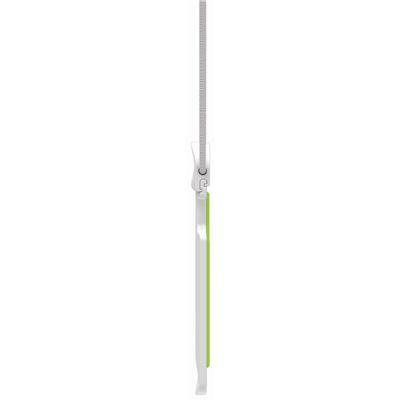 The necklet also offers you a comfortable, adjustable lanyard with two quick ways to remove your iPod nano: quick press and peel application or slide it away from the strap. 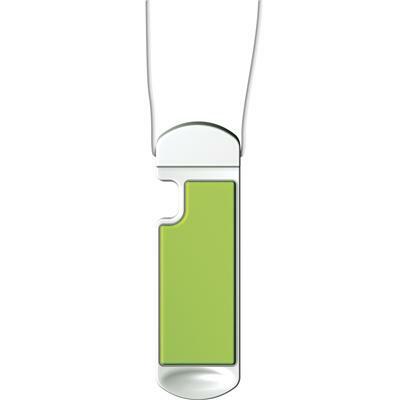 The Clingo sticky pad holds your iPod nano securely, yet lets it go easily without leaving any residue. Will the Neklit block the video on my Nano? Will it leave residue on my iPod? Absolutely not. The material is designed to stick, peel and repeat without leaving any residue on your iPod. Step 1: Remove the protective film from the Clingo pad. Step 2: This step is only for brand new Clingo Mobile Neklits. Press your device onto the new Clingo pad. Immediately remove the device. If when removing device you find it too difficult, simply touch the Clingo gel pad to your shirt or pants until desired stickiness is reached. Step 5: Place the Neklit around your neck and adjust the length of the cord by pulling on the adjusters. Both cords must go around the back of your neck. Improper use of this product can result in choking. Step 6: The Clingo pad base can be removed or reconnected by holding the half moon shaped plastic piece at the top where the lanyard comes out of with one hand and using your other hand to gently slide the Clingo pad base either to the right or left. your finger tips, gently peel the mobile device from the Clingo pad from one side to the other. For quick cleaning, use a damp, lint-free wipe or cloth (i.e. chamois) to remove dust, dirt and oil. DO NOT use any paper products to wash or dry your Clingo product.